As per this thread, I have been selling Gen 4 paddle shift kits for a little over two years. Being a manual driver at heart, preferring to make my own gear change decisions, I use my shift paddles continuously and wouldn't like to drive my Pajero without them. Part of the process to make the kits required trimming the factory paddle assembly to fit inside the Pajero steering column lower cover, and hand-cutting slots into the cover. 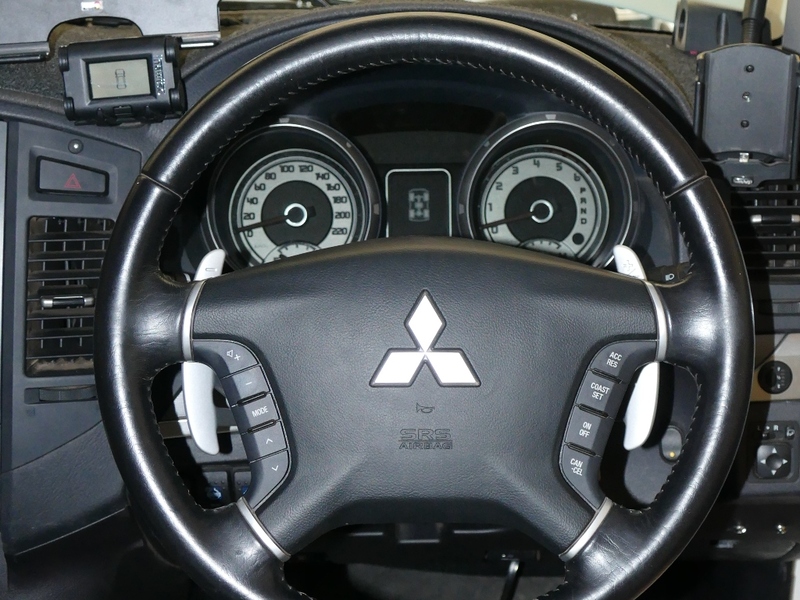 More recently, some Mitsubishi enthusiasts in the Middle East advised that the steering column covers from PB / PC Challenger will fit the Pajero steering column, eliminating the need to trim the paddle assembly or cut the Pajero covers. I have finally found a source for the Challenger covers at a reasonable price, and can now offer Pajero install kits at a better price. I can also offer a complete kit to Challenger owners. The NS Pajero uses a different connector for the plug & play adaptor, so anybody interested in ordering will need to specify which vehicle you have: NS, or NT/NW/NX. There is no difference in the price. Overseas owners with left hand drive vehicles need a slightly longer cable; again, no difference in the price, but please specify LHD. The forum member price for this revised kit is $315, plus freight. Freight is typically $25 to cities and regional centres; I haven't yet shipped a kit to a more expensive location. Please note that the factory covers on Challengers without paddles are too small to fit the paddle shift assembly, hence the need for new covers. I believe most PB & PC Challenger have the factory harness including the three pin connector to plug in the paddles, but some may not. Please remove the lower steering column cover and look for an unused white 3 pin connector on the left side of the column. If this connector is not found, I may still be able to help with a solution - PM me to discuss. The forum member price for the basic Challenger kit is $190, plus freight. Freight is typically $25 to cities and regional centres; I haven't yet shipped a kit to a more expensive location. I absolutely LOVE my paddle shift kit... I can’t recommend the Scorpro kit by NJ_SWB highly enough!